This year, we’re studying the natural world, including animal and plant species, geology, weather patterns, and more! These Cycle 1 Science resources can help to make your homeschool environment colorful and creative as you help your kids to interact with the world around them. Be one the lookout for opportunities in your area like zoos, parks, and museums to make the experience more hands-on and exciting. These fun coloring pages are fun to encourage exploration and art within Cycle 1 and also serve well as cut-outs for notebook projects. These fun illustrations are easy to color or practice tracing if your kids love to gather their own doodling ideas. Check out Amie’s Etsy shop for more creative CC printables. A creative mama in the Classical Conversations Facebook group had this great idea to frame vintage-looking plant drawings from these books and frame them on their wall. What a beautiful visual to have for art and science integration! This website is a one-stop-shop for super cool science printables for cut-out projects including 3D pop ups, interactive notebooks, pockets, diagrams, and more fun for life cycle and earth science lessons. There are so many fun things to choose from, or just check it out to be inspired for the upcoming weeks. 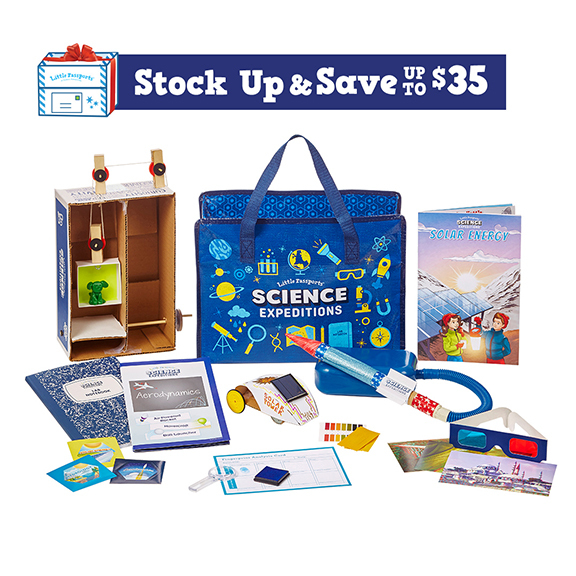 Give your kids something to look forward to each month with Little Passport’s Science Edition! Subscribe to have a small science kit sent to your home with hands-on projects that help them to understand big concepts. My favorite thing about this book series is how the author integrates arts and science. The illustrations are hand-drawn, which I believe encourages kids to re-create renderings they observe in nature. They are simplified with simple science lessons in storytelling format and encouragement for conservation awareness. *DISCLAIMER* – the science facts in this book allude to evolutionary theory and the age of the earth being billions of years old. If you are looking for science resources based on Creationism, we have great recommendations in our article: Creation Science Homeschool Curriculum. Jenna Parde, creator of Scribbling Grace has made these sweet and simple watercolor designs of plants mentioned in scripture. Use this during your plant study with the kids, have them find scripture based on each plant, or have them write about how God uses these plants to teach a lesson or point back to His love, grace, and provision. Cycle 1 Science meets Bible study meets art! Jenna is also a talented Bible cover and journaling illustrator! Check out her custom-made covers and prints at ScribblinGrace.com. Click on the photo below to follow her free watercolor world tutorial! Do you have any fun suggestions for Cycle 1 Science? Share them with us in the comments or join the Practical Family Facebook Community!